>Siri is moving beyond the iPhone 4S. 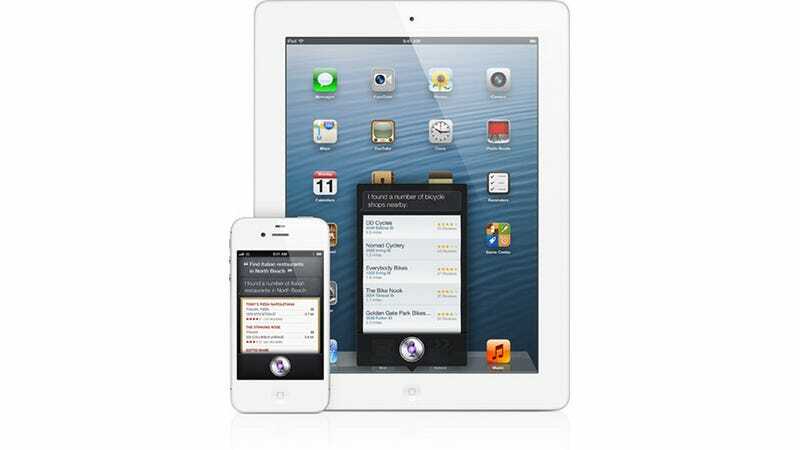 In today's WWDC keynote, Scott Forstall announced that it's migrating to the new iPad with iOS 6. In fact, Siri has vastly improved with the next-gen mobile operating system. Apple has added some pretty cool features—movies, restaurant reservations, and Yelp reviews. Adding it to the iPad is going to make a lot of users very happy. Follow along with the rest of the Apple news today with our WWDC liveblog.